Dead Reckoning: How I Came to Meet the Man Who Murdered my father. 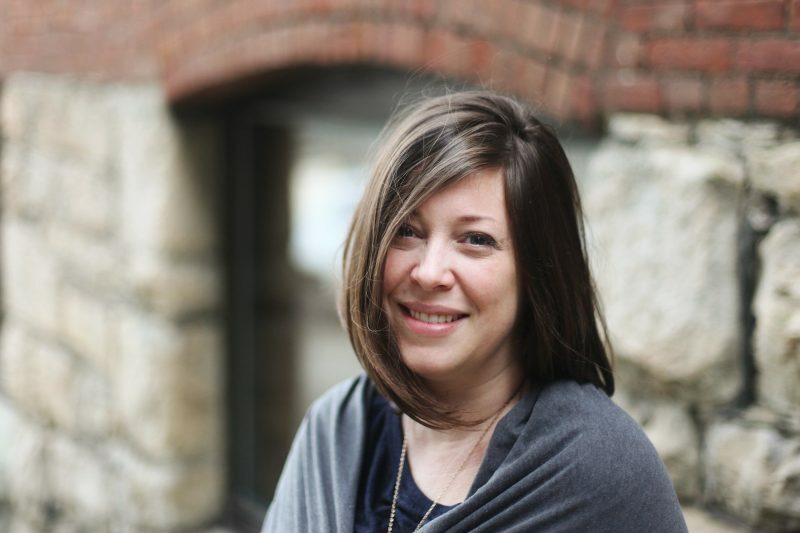 It has been a good year for Carys Cragg of Port Coquitlam. 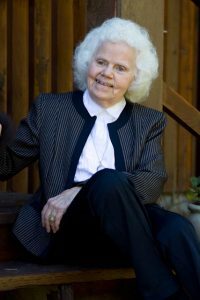 Her Dead Reckoning, published by Arsenal Pulp Press, was announced in May 2018 as a finalist for the Hubert Evans Non-Fiction Prize (BC Book Prizes, 2017), and selected by The Globe and Mail as a Globe 100 Best Book of the Year (2017). Most recently, on October 3, 2018, Dead Reckoning was announced one of five finalists for the Governor General’s Literary Award for Non-Fiction, also for books published in 2017. The winner will be announced in Ottawa on October 30th. 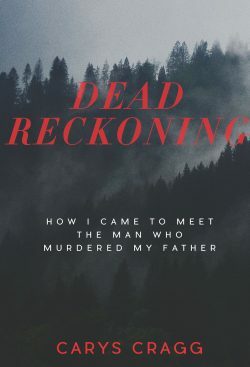 Dead Reckoning follows Cragg’s determination to confront the burglar who murdered her father, Dr. Geoffrey Cragg, in September 1992 at his Calgary home. Eleven-year old Carys was at home at the time. Ormsby reviewer Phyllis Parham Reeve follows Cragg as she corresponds with her father’s killer in prison in Drumheller, Alberta, and wrestles with such concepts as retributive and restorative justice. “There is nothing warm and fuzzy about this book,” says Reeve. — Ed. A twenty-two-year-old boy, high on drugs, entered our home intending to rob us, and picked up a knife on the way. It was 4:20 in the morning. My father, attempting to protect the lives of his wife and four children, confronted the intruder. In the altercation, he stabbed my father multiple times and left him on the floor, bleeding. The intruder ran away but was caught by the police a day or two later. Twenty years later Carys Cragg is telling the story, recalling how her eleven-year-old self obeyed her mother’s command to call 911 and stayed by the phone as instructed. Dead reckoning is a navigational wayfinding technique, with roots based in Indigenous Polynesian sailing communities. Philosophically, dead reckoning means to figure out where are you going based on where you are and where you have been …. 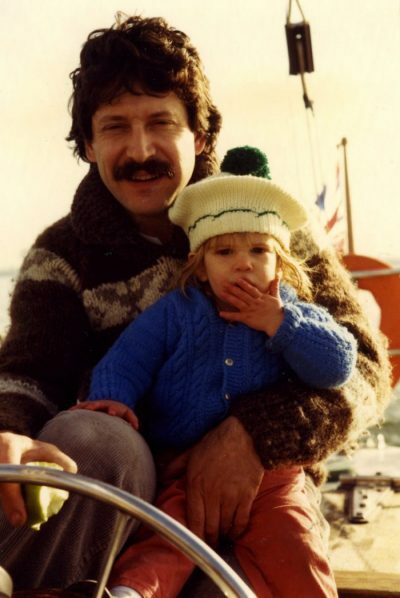 It seemed particularly apt because of the sailing and wayfinding themes in the book, and how I was describing the life of my dead father, who loved to sail, through the telling of stories. Sheldon Klatt was found guilty of second-degree murder and sentenced to life imprisonment with eligibility to apply for parole after 25 years, much longer than the usual ten-to-fifteen years. The sentence satisfied the demand of the Canadian criminal justice system for “retributive justice,” which punishes the offender for an action against the state/ community. As an adult, Carys Cragg found the sentence inadequate, not because it was not severe enough but because it missed the point. The offender had to pay his debt to society, but there was no mention of his victims. What about the debt to them? What is appropriate retribution? How can anyone pay for a murder? Some victims do accept money as retribution, and if the payment is large enough they announce a feeling of “closure” — a concept of which both Carys and I have a poor opinion. Consequently she began to explore the possibility of “restorative justice” which “focuses on identifying harms, empowering victims, and responding to both victims’ and offenders’ needs.” “Restorative” is another imprecise adjective. No system can “restore” a life, a loved one’s life, a loss of innocence, any more than it can “pay” for them. Nevertheless, restorative justice seemed the direction most likely to provide a way forward from the dead reckoning. By now — not coincidentally — Cragg had a career working as a youth outreach counsellor and teaching with Youth Justice programs. This stage of her journey began at the Community Justice Initiatives office in Langley, B.C. Sheldon’s prison was in Drumheller, Alberta. It soon becomes clear that the world would be a better place if the Community Justice Initiatives people were to teach the larger arms of the correctional service and criminal justice system something of the sympathy, patience, respect, and common sense with which they treated both victim and offender. Always at her own pace, which sometimes stalled for months, they guided her through the first request for contact, the years of letters, leading to the in-person meeting, the recognition of each other as human beings, and the aftermath. Scenes from her progress towards her encounter with Sheldon Klatt alternate with vignettes remembered from her childhood. Neither stream is chronological. Titles and epigraphs carry on the navigational thread. As she works her way through relationships with her father and his killer, she is also working out her relationships with her family, because of course she is not the only victim. Her mother and three siblings each have their own version of the trauma. Carys remains close to them but wrestles with resentment because it was often assumed that, as the eldest and strongest child, she required less attention. She does not confide in them about her correspondence and planned meeting with Sheldon until circumstances force her. This is her story, she insists, and she does not need to tell her siblings’ stories or even to ask Sheldon’s permission to publish his letters. Then there is the third major character, Geoffrey Cragg, a talented and charismatic doctor, beloved by family, friends, and grateful patients, struck down in the prime of life, and charmingly brought to life in his daughter’s anecdotes. Several times Carys describes him as “flawed” but does not explain why — perhaps simply to emphasise her own need to remember him as a person rather than an object of worship. She and her mother emulate his approach to patients in the attitudes they take towards his killer. It is central to Carys’s process to introduce Geoffrey to Sheldon, to be sure Sheldon recognises the person whose life he took. It is suggested that Sheldon as a patient and Geoffrey as a doctor had met in the Emergency Room, but this is never certain: another vague narrative from the time of trauma. There is nothing warm and fuzzy about this book. Carys and Sheldon do not become buddies. Because he lied at the time of his arrest, there is always suspicion, always doubt that he is telling the whole truth. And yet, if there is not “apology” or “forgiveness,” there is respect and a sort of empathy. In the long run, having rejected revenge, retribution, and restoration — and reconciliation, which implies a bond not yet possible — she is left with recognition and responsibility, and recognition of responsibility. So please don’t be sorry. If you need to say this to yourself, then that’s just fine, that’s your process. You don’t owe me an apology. What you owe me is to say what you did wrong — all of it. And I’ve sincerely appreciated what you’ve told me thus far; it has changed my life. What you owe me is to make things right. That’s your responsibility. And it’s mine too. Sheldon Klatt was granted full parole in 2017, around the time of the publication of Dead Reckoning, the birth of Carys’s first child, and the 25th anniversary of Geoffrey’s death. She told an interviewer that she was “at peace” with the decision.